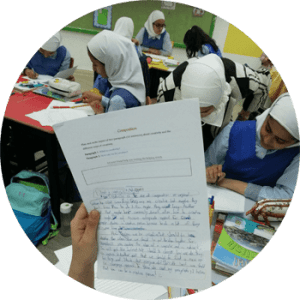 In June 2017, TransformELT was invited by the British Council to help the Sabah Al Ahmad Centre for Giftedness and Creativity (SACGC) to achieve its aims of preparing gifted students to be of an appropriate level to enter overseas universities by high school graduation. Staff at the centre completed a project scoping questionnaire in August 2017 and an on-the-ground visit was conducted by Alan Mackenzie in April 2018. The subsequent report was presented to SACGC and favourably received. We were then asked to turn our recommendations into a project proposal outlining a range of potential interventions based on the recommendations made. SACGC is a highly innovative programme within the region. 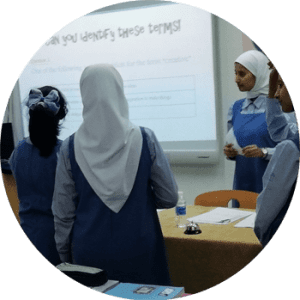 From all of the state schools in Kuwait, the top performers are collected to take part in the programme for gifted students. For boys, there is a custom-based facility where they all gather within the same school. For girls the programme is conducted in special classes within regular state schools. Our recommendations and planned interventions took into account information gathered from teachers, administrators and the learners themselves. The learners, of course, are often the greatest source of inspiration. These learners were so eloquent, intelligent and perceptive, that given the task, we think they could write their own curriculum! Our main task in this context was providing a coherent theory of change, through which administrators could envision the potential future curriculum, and the developmental stages necessary to enable achievement of that vision. Green lighting from the administrators then gave licence to work with the key stakeholders (teachers, learners, parents) to construct new learning pathways.